Contacts can be convenient and more stylish than glasses, but because they go on your eye instead of over it, contact wearers face more risk for infection and other serious eye problems. Follow the tips below to take care of your eyes while wearing contacts. Make sure your hands are clean before handling your contacts or touching your eyes. Clean your contact case regularly and replace it at least every three months. Bacteria can easily build up, so keep it clean! 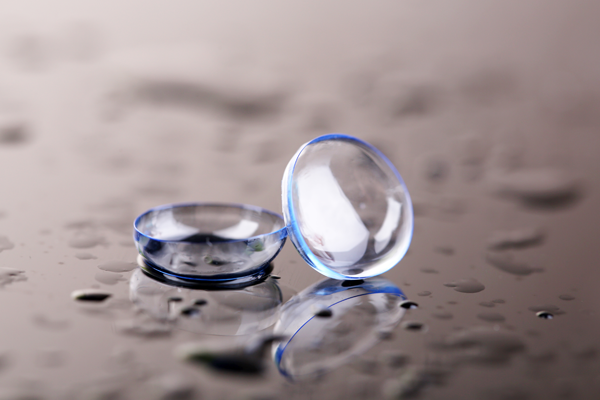 Never store your contact lenses in tap water or rinse them with tap water. Saliva is not a sterile solution either, so don’t put your contacts in your mouth to wet them. Always be sure to replace your contact solution after each use. Don’t “top it off;” use new solution every time. Also, be sure to keep an eye on the expiration date of your solution. Don’t use outdated solution. Change lenses as often as prescribed by your eye doctor. This will vary by lens type. If you aren’t sure, ask your eye care professional. Never sleep in your contact lenses, unless you have lenses specially made for night and day wear. Don’t wear your contacts while swimming or showering. 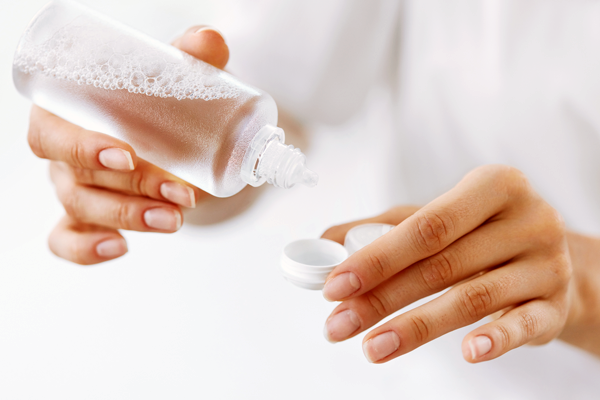 Make sure the tip of your contact solution bottle stays sterile. Don’t let it touch your sink, bathroom counter, contact case, or any other surface. Don’t use contacts that are past the expiration date on the box. You should get a yearly eye exam to ensure that your eyes are healthy and that your prescription is correct. If you are experiencing any eye discomfort, pain, redness, swelling, or any other abnormality, stop wearing your contact lenses. If the problem persists, please contact your eye care provider. Never wear your contacts if you have an eye infection such as pink eye as it may lead to a more serious infection. If eye dryness or irritation becomes common while wearing your contacts, you may need to look into a different type of contact lenses. If you’re ever in doubt about whether you should wear your contacts, the best option is to avoid wearing your contacts to be safe. Always keep a pair of glasses as a backup in case you aren’t able to wear your contacts for some reason. 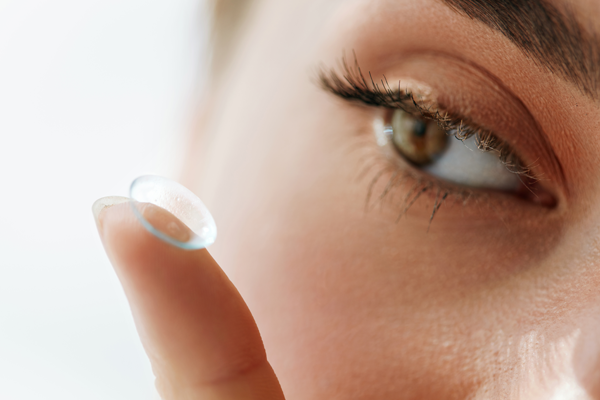 If you have any questions or concerns about your contact lenses, please call your eye care professional.